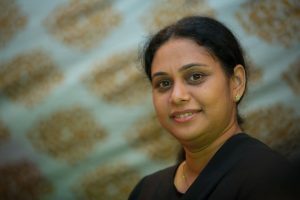 Daliya Sebastian is a technical specialist for ICRW Asia Regional Office. In this role, she provides technical support in research and evaluation on projects in the areas of violence and gender issues. She has a PhD in Population Studies from the International Institute for Population Sciences (IIPS) and is well-versed in quantitative and qualitative research methodologies and various analytical software programs. Prior to joining ICRW in 2016, she worked for ChildFund India, Public Health Foundation of India and UNFPA, in various roles. She has experience in conducting impact evaluation studies and working with a wide range of donors and partners. Her areas of interest are population aging, gender and violence and HIV.